A brilliant way to use excess carrots, these mini bit sized cupcakes will be a perfect addition to a high tea party or to surprise supper guests or even as part of a petit four! Good for the cholesterol conscious as it uses oil not butter. To make the icing just mix sugar, margarine and milk until almost sti ff but still mixable. Then pipe stars on top. I’m so happy to have scored tickets to see Ferran Adria speak at a Good Food Month event in Sydney!! In case you haven’t heard, he runs the most famous restaurant in the world called El Bulli, in Spain. He is heralded as the father of molecular gastronomy – basically using scientic methods to change the way food is presented, and making tastes into new and exciting and surprising forms. Getting a reservation is near impossible – they take bookings only once a year according to Gourmet Traveller, and it is recommended that you put your name on the waiting list, book a two week holiday in Spain and leave your mobile on, ready to go if you are lucky enough to get a call! 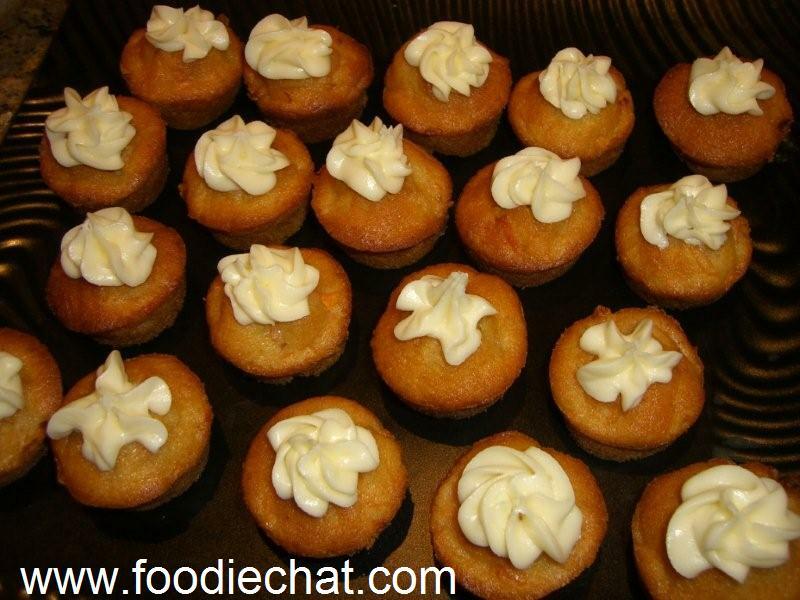 You are currently browsing the FoodieChat weblog archives for September, 2008.